Various thoughts from an educational professional & geek. After reading a considered write up from colleague Ray Corrigan and support from Cory Doctorow I feel that here is one decision from our senior management, that for the first time in seven years made me wonder about the state of mind within the Open University (OU). One of the primary reasons I joined the OU is that it was a organisation I could get behind - irrespective of its many eccentricities. It's mission to enable whomever that tried; to reach for higher education - this was something I could easily get behind. We do need to look at how we use the different offices - but to cull them in such a manner and looking at the outcomes of the location analysis. Strikes me that whomever was given the job - did little to review each location and approached this from a purely numerical perspective. Having worked hard to develop a community of Cisco Academies, Vendor interests and interventions in the Computing and Network Engineering teaching communities. I have used these different locations over my seven years at the OU - to reach out, host meetings with educators, employers and industry. Often having these offices in suitable locations - to enable and make it work for stakeholders nationally. Ironically the two I have never used, are the two that will remain. We need a presence in London - somewhere to host meetings. I have also hosted meetings in Cambridge, Bristol, Birmingham, Gateshead and Leeds. We rely on many of these stakeholders to support our mission and enable us to thrive. The irony comes that after hosting such meetings, we now have the opportunity to attract funding for more - yet there is possibly nowhere to go when I look to accomplish this. Putting aside my gripes - to amplify the words of Ray Corrigan, it is not only the goodwill of staff and students that will be undermined, we enjoy considerable goodwill from many unnamed stakeholders. Who may not be legal partners, but have worked alongside us for many years helping us on our mission. In many respects - we will be losing some of our presence. Over the last year I have presented hints about some work I am privileged to be part of. Involving KMi and FORGE, the project aims to develop future Internet technologies, enabling the simulation of networking technologies. 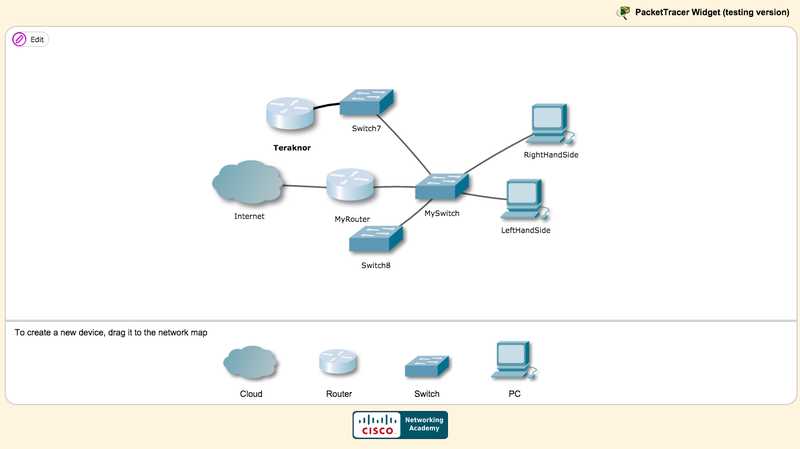 Cisco Systems, via their academy programme and under the thought leadership of Dennis Frezzo created Packet Tracer a pedagogical network simulator. Deployed on Windows and Linux systems as well as having an Android version. It offers a complimentary practical experience, enhancing the online teaching for IT Essentials, CCNA Routing and Switching and the CCNA Security curriculum. Looking to create an eBook that has inline practical activities, using the Apple iBook format. KMi are keen to leverage the success of the Open Universities iTunesU presence. After some initial hitches and technical experimentation, it was soon realised that the HTML5 affordance of the iBook means that Packet Tracer could be offered via any web browser. 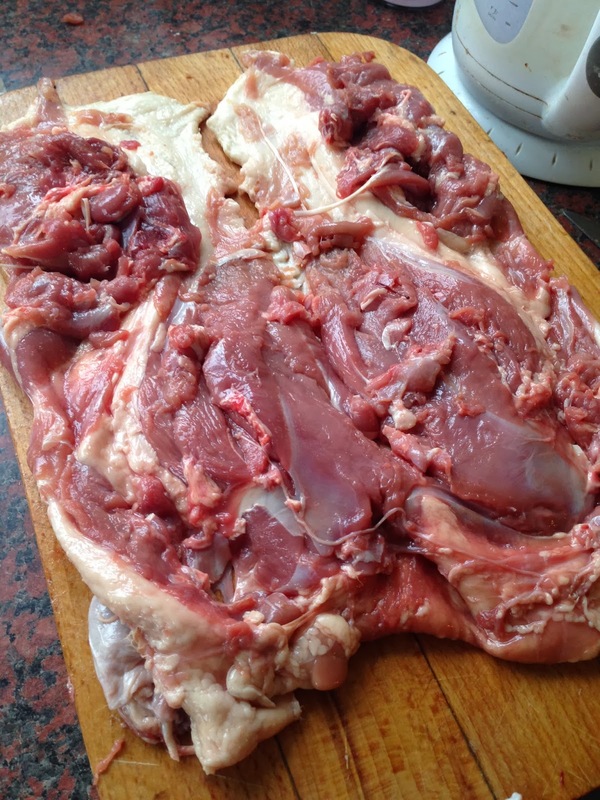 Personally I find Turkey to be quite a tasteless meat, good for quantity but not so great when it comes to quality. If you are a fan of the bronze Turkey. I grant you it has more taste (not a lot, just a little bit more). But these seem to come in at a price that makes ones eyes water. Starting in the region of £70+ for anything worth having. It must be differentThe quality must be highThe cost must not be outlandish Another tradition that has been agreed over many years is that 'Dad' (AKA me) cooks the dinner. Mum (AKA Shirley) has done it occasionally, but for this meal I feel that one must serve my wife. So, lets explore this years treat, I decided that it had to be four different fowl. Duck, Grouse, Pheasant and a stuffing of Chicken with homemade mincemeat.